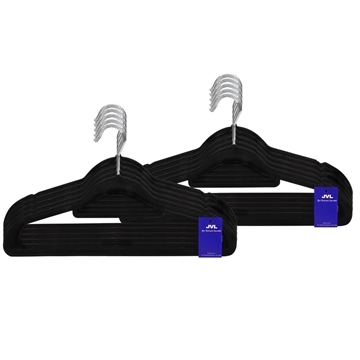 This pack of adults clothes hangers are perfect for hanging everything from jeans, jumpers to light shirts and dresses. 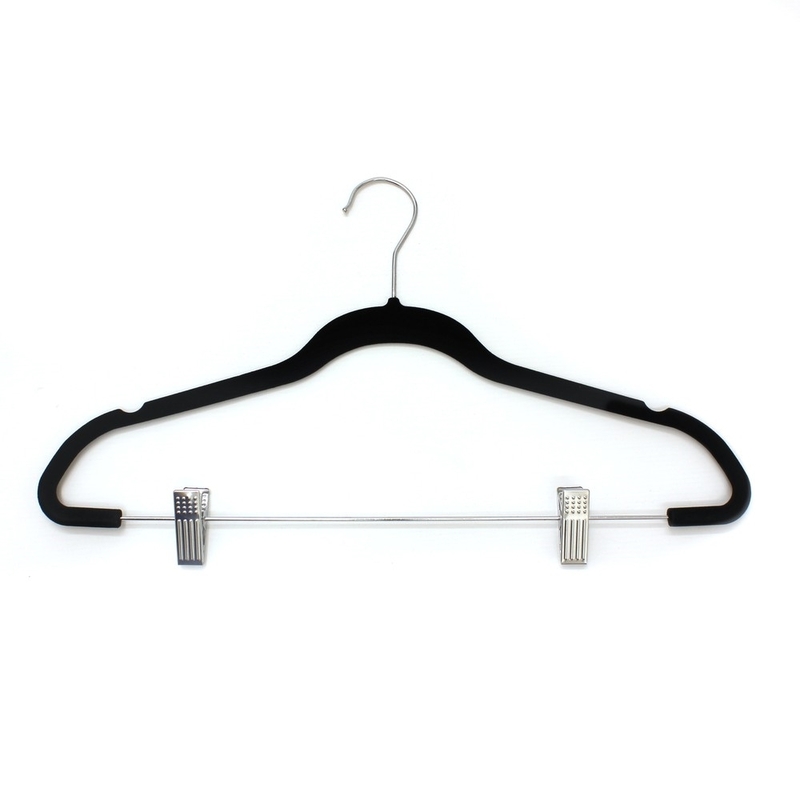 The soft touch hanger features two chrome effect clips to grip and hold your trousers, off the shoulder tops or skirts etc, securing them firmly in place whilst still leaving room for small items to hang over the bar. 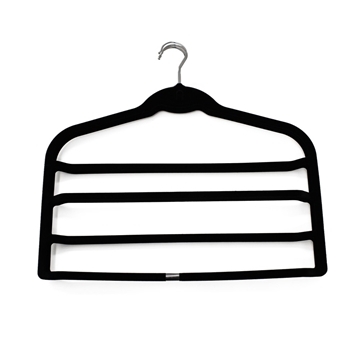 Dents at the top for clothes hooks and the velvet touch creates an anti-slip surface to prevent clothes from sliding off. 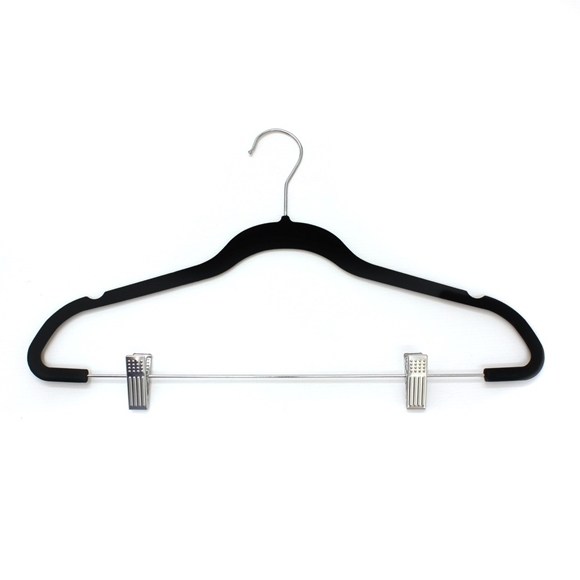 Added chrome effect grips for hanging skirts, off the shoulder tops or trousers etc.